The Australian BBL Fantasy is back with all the action, and these are tips for big bash fantasy league 2017-18 for 43 total T20 matches. 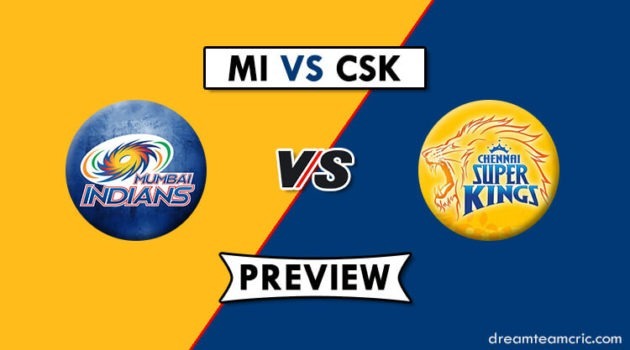 It will decide the best domestic T20 side at the end. Adding to your excitement, Cricket Australia has introduced a fantasy league along with BBL, where you can choose your own set of players, and compete with others, to win prices. Here we are providing you Big Bash Fantasy Tips. 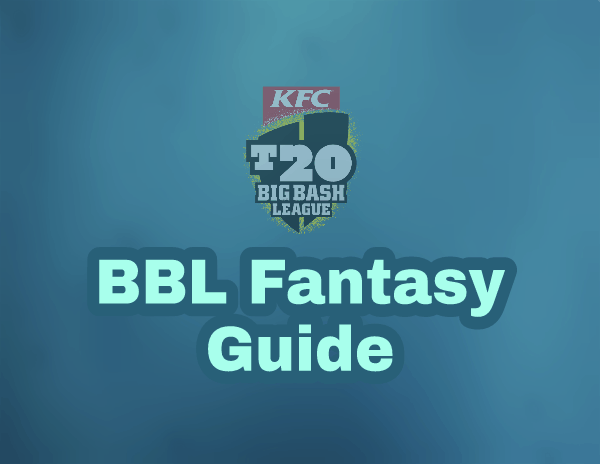 However, the rules of the fantasy BBL, are not as simple as we are used to it. Here, the selection and switching process is trickier than a Shane Warne’s googly. For the BBL Fantasy League, the tournament is divided into 12 rounds. First 10 rounds consists of 4 matches each. The 11th round is for semi finals, and the 12th is for the finals. The player has to choose a 16 men squad (11 main players + 5 emergency players) for the 4 matches. The team made for a round cannot be changed until the next round. As mentioned earlier, the player has to make a team for one complete round, and the team cannot be changed until all 4 matches are completed. After the completion of one round, the player is allowed to make changes in his team, and select according to the next matches. To play, one team must consist of 7 batsmen, 2 Wicket-keepers, and 7 bowlers. All rounders can be selected as batsmen, or the bowler. There is no different spot for the all rounders. Each of the players is provided 1,000,000$ cap to make the team. The credit here is counted in dollars. You can make changes in your team before the start of the first match of that respective round. You choose 11 playing and 5 emergency. If a player in your Playing XI does not play in the match, an emergency player takes his place and that player’s score is counted. If one emergency player is required, and 2 emergency players are available, the one with the least (minimum) score is counted. Before the start of the match, you will select your Playing XI (5 batsmen, 1 WK, 5 Bowlers). You will also have to select a captain and vice captain. Only if your captain does not play in the match, then your vice-captain scores double points. The leagues will be formed consisting of 10 or 6 teams. It may be private or a public league. Once the match is started, you cannot leave or change the league. However, if your league has less teams than required, the league will be merged with other incomplete leagues, or random participants will be added to fill the league. You will play against everyone in your league twice. For every match win, a player will be given 2 points for a WIN, and 1 point in case of a draw. The player with most Points, after the completion of all rounds, will win the Fantasy League. A player have to register his team only once on Cricket Australia’s BBL Fantasy page, more than one registrations with same e-mail may get disqualified. Keep in mind that, anyone can play the BBL Fantasy League from any part of the world, but as per Terms and Conditions, the prizes will be allocated only to Australian users/citizens. At the end of BBL fantasy 2017-18, The team with highest number of the total points after the completion of the tournament will win $10,000 cash. The highest individual total score in rounds 1-10 will win 300$ of cash. At the time of registration, player will be asked to choose a favourite team. By choosing a team, they will compete against that team’s other supporters. The supporter of each team, who has highest total points, will win two premium membership of 2018/19 season. The highest total points of the eight players in a private league (in 10-team leagues only) at the end of the competition will win $4,000. That will be divided equally among them. Do let us now, Which is favourite player in Big Bash Fantasy League 2017-18 ? 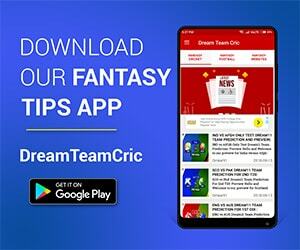 If you liked this BBL Fantasy guide, then please subscribe to our Email Newsletter For Latest cricket News, Fantasy Previews, Playing XI and All information about Dream11 Fantasy Cricket. You can also find us on Twitter and Facebook. I have started playing BBL Fantasy League few days back. Just today, I have gone through your Terms & Conditions more attentively and found that anyone of the world can play the game but only Australian Users/Citizens are eligible for prizes which is very much unlikely from EPL Fantasy League. Can you please clarify if we are not eligible for prizes why we are allowed to enter into the game? Am just need to get my confusion cleared up. Thanks for your reply and understood this is the condition of Australian Cricket Board and thus it is better not to allow anybody out of Australia to register any team in BBL Fantasy League. At least we can enjoy the BBL T20 freely and continue playing EPL Fantasy League. Happy Fantastic BBL Fantasy League.